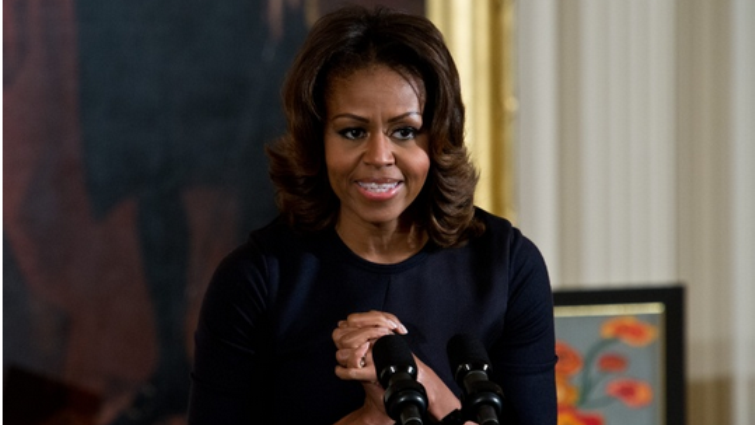 Michelle Obama shelves Paris, Berlin trips for Bush funeral - SABC News - Breaking news, special reports, world, business, sport coverage of all South African current events. Africa's news leader. Tags: Berlin, United States, Paris, Funeral, Michelle Obama, George H.W. Bush, Obama's memoir, "Becoming"
Released on November 13, Obama's memoir, "Becoming," sold more than two million copies in North America in its first 15 days. Former US first lady Michelle Obama said Sunday she was canceling book tour visits to Paris and Berlin to attend the funeral of former president George H.W. Bush, who died Friday aged 94. “It’s important to me to join the Bush family in celebrating President George H.W. Bush’s exemplary life,” she tweeted. Released on November 13, Obama’s memoir, “Becoming,” sold more than two million copies in North America in its first 15 days. The 54-year-old mother of two — America’s first African American first lady and wife of the first black US president — is wildly popular at home and abroad, loved for her warm personality, intelligence and women’s activism. In the book she writes that she can “never forgive” Donald Trump for questioning her husband’s US citizenship, accusing him and other “birthers” of putting her family at risk. She also digs into personal issues, detailing a miscarriage, how she conceived daughters Malia, 20, and Sasha, 17, by in-vitro fertilization, and marriage counseling. Berlin United States Paris Funeral Michelle Obama George H.W. Bush Obama's memoir "Becoming"
This entry was posted on 02 Dec 2018,09:21PM at 9:21 PM and is filed under World, News, Homepage Latest Stories Slider. You can follow any responses to this entry through the RSS 2.0 feed. Both comments and pings are currently closed.